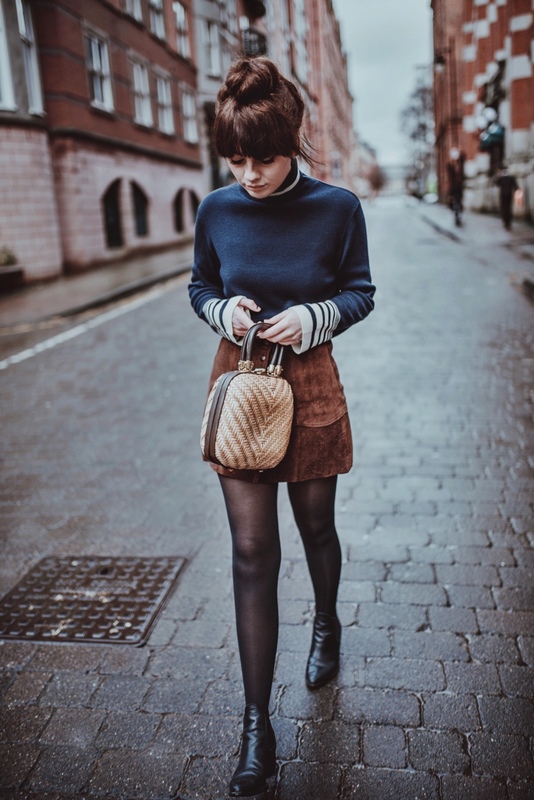 Here I am prancing around the streets of Manchester with my beloved woven bag and suede mini skirt – unpractical some might say, but I’ve never really cared too much about that! I’m definitely not some kind of fashion rebel, but I’m all for wearing what makes you feel great at any given time or date. 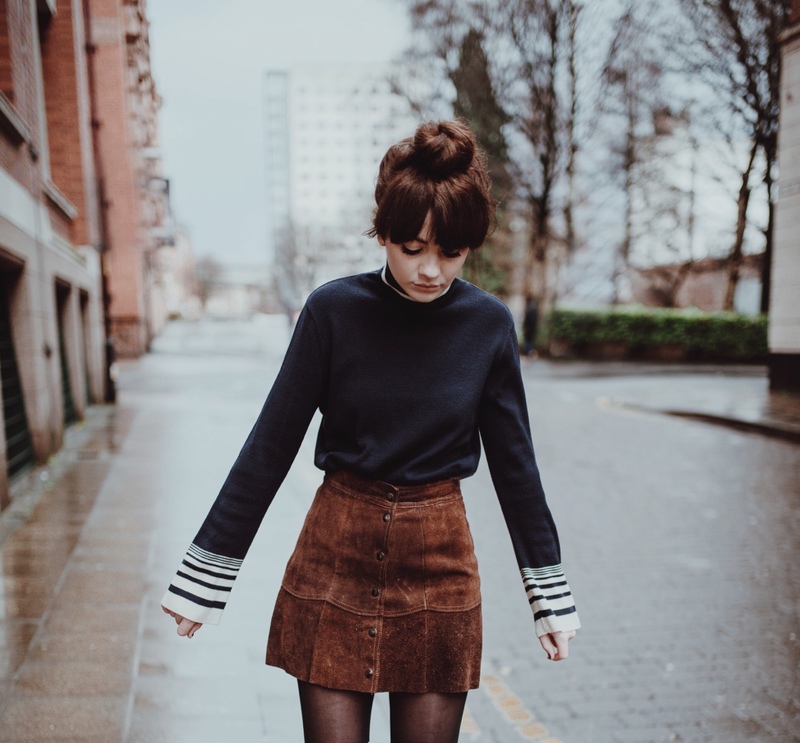 I love an A like skirt like no other – especially with a statement wide sleeve jumper. It’s a magical combination that tricks me into thinking I’m some sort of sixties film character (it’s fun to pretend). 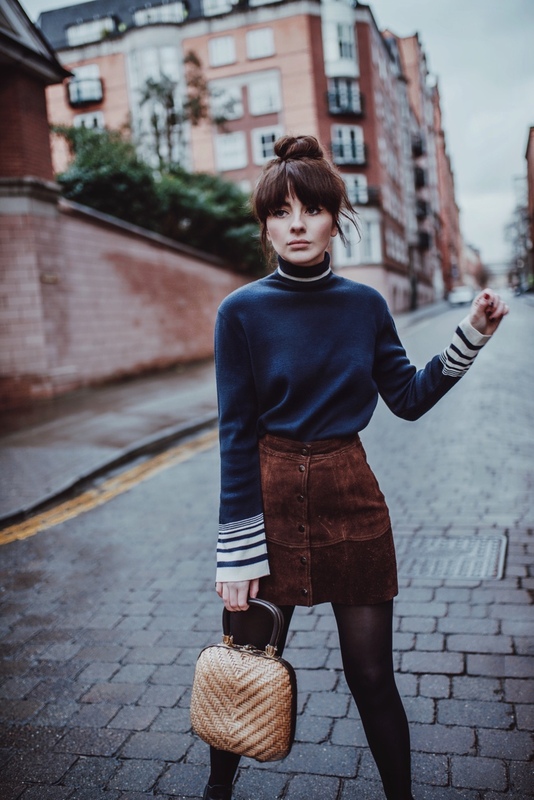 Throw stripes, suede, and a basket bag into the mix and that’s pretty much my dream outfit right there. A mash up of all the styles that tend to define my wardrobe, and that I’m sure will continue to do so for many years to come. 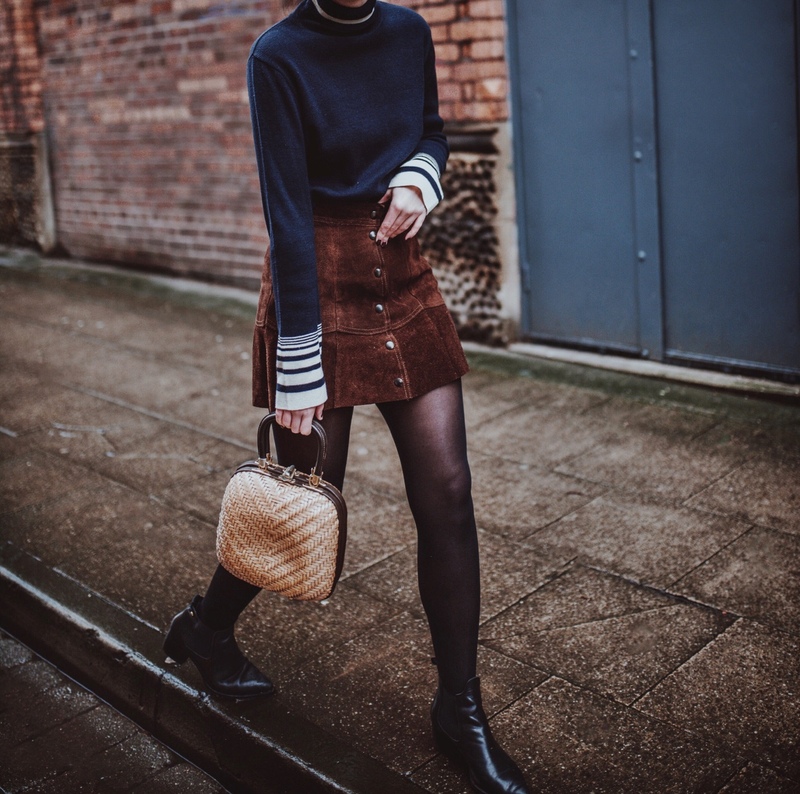 Teamed with my trusty Topshop boots (that are actually falling apart), it’s the perfect casual Winter daytime look that could be layered up with a coat and chunky scarf for added warmth. 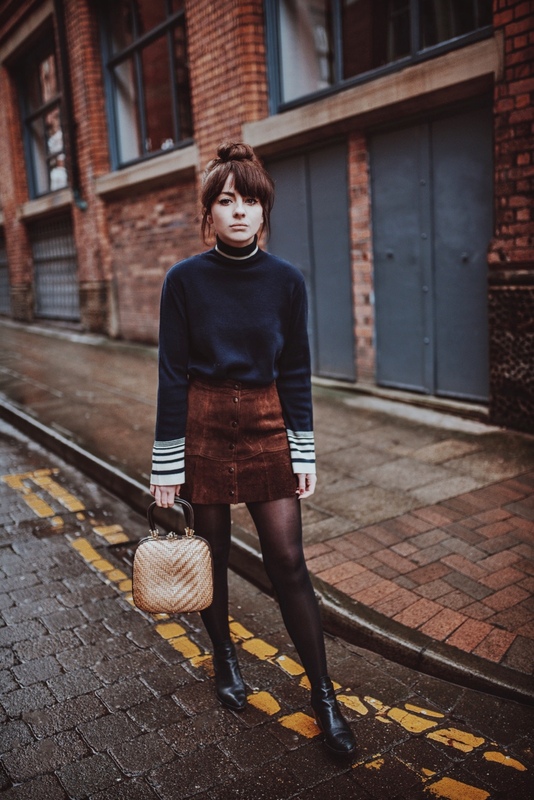 Sometimes it’s nice to rediscover old vintage pieces in your wardrobe when you’re not feeling inspired by what the high street has to offer. It’s satisfying knowing that you have a few unique pieces that not everyone will own, then you can mix and match with new pieces and current trends until your heart’s content. I’m heading to Paris next week (have I mentioned it enough yet? ), and I couldn’t be more excited to see what the vintage shops over there have to offer. Nowadays, I find that I buy most of my vintage pieces online, which can be problematic – especially with jeans! 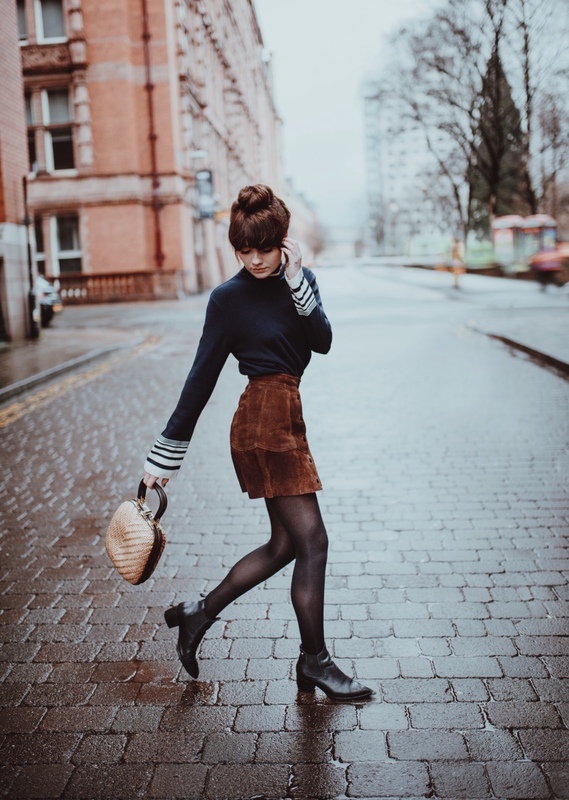 Lots of things arrive and I’m left disappointed because they don’t fit how I’d imagined, so I can’t wait to do some treasure hunting and vintage shop the best way – taking in the surroundings and trying things on for size. 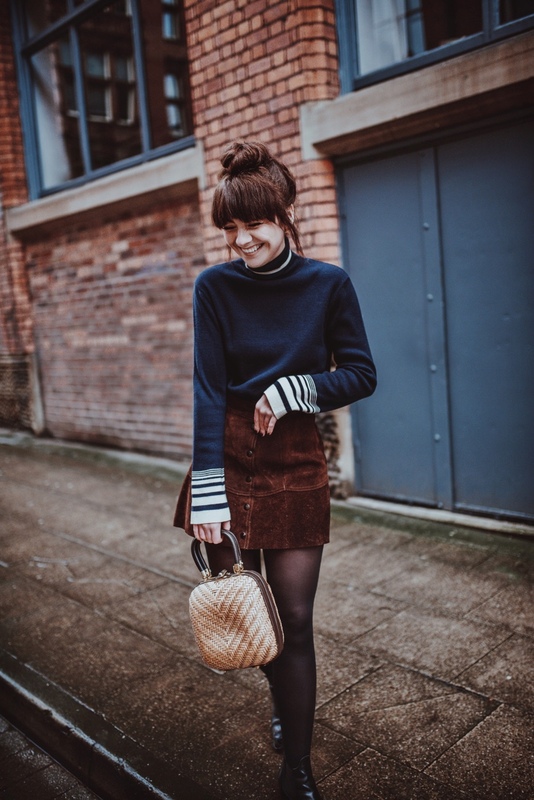 I usually have jeans, blouses, and bags at the forefront of my mind if I’m vintage shopping, these are the pieces that I wear all year round and can be styled in so many different ways. 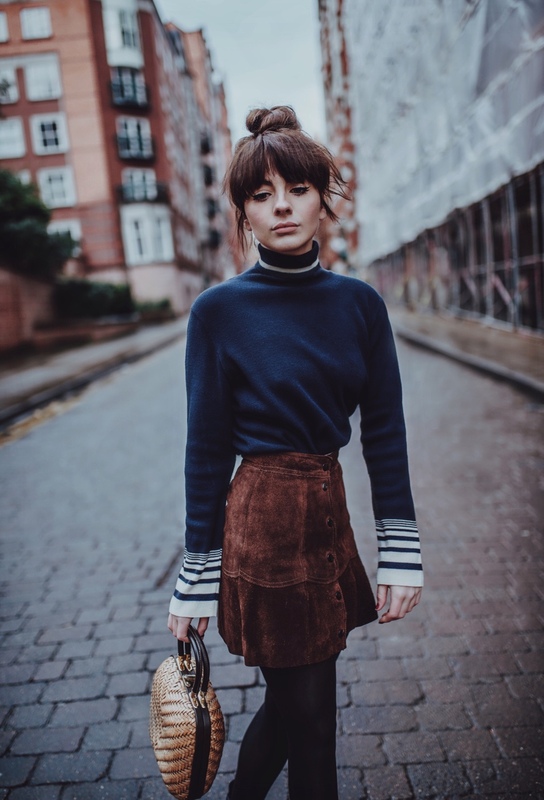 As far as sourcing vintage back home – Beyond Retro and Cow Vintage can be great if you know your shape and have a tape measure handy. I’ve mentioned this before on here, but always measure against clothing you already own to avoid disappointment when buying vintage online. Etsy and eBay are also great for one off vintage pieces – particularly bags! I’ve found some of my all time favourites on there, but you really do have to invest the time scrolling through a few pages before you find something special. Totally worth it and actually quite fun if you’re a bit of a treasure hunter by nature like myself.